annelebaron Oh thank you, you're so kind to reach out. When do you plan to relocate to Australia? Anne LeBaron, whom The New Yorker calls “an admired West Coast experimentalist, who is an innovative performer on the harp as well as an unusually inventive composer,” has written compositions that embrace an exotic array of subjects, including her operatic treatments of legendary figures such as Pope Joan; Eurydice as a Delta blues singer; and the American Housewife. 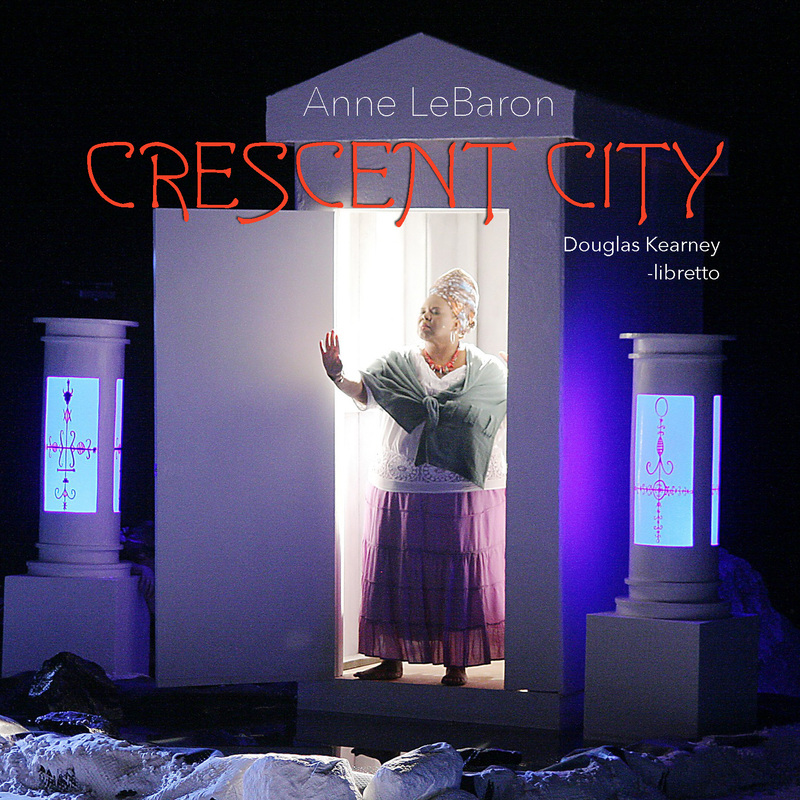 In Crescent City, produced by The Industry in a giant Los Angeles warehouse, she turns her attention to New Orleans and its rich multicultural history as she tells the story of Marie Laveaux, who emerges from her tomb when a final disaster threatens her beloved city. She pleads with the pantheon of vodou gods and goddesses (the Loa) to help save New Orleans from impending destruction. They reluctantly agree to come to her aid, but only if they’re able to find one good person among the cops, nurses, entertainers, and other denizens of Crescent City. In their quest, they disperse, overtaking the souls and bodies of the city’s inhabitants. One of the Loa, the dreaded Baron Carrefour, thwarts their collective mission to try and help Marie. A showdown between Carrefour and Marie leads to the demise of Crescent City. Acclaimed for her instrumental, electronic, and performance work, Anne LeBaron’s compositions have been performed around the globe. Awards she has received include a Guggenheim, the Alpert Award, a Fulbright, two awards from the MAP Fund, a Los Angeles Cultural Exchange International Grant, the 2014 Miriam Gideon Prize, and an Opera Grant for Female Composers from Opera America. She holds the Roy E. Disney Family Chair in Musical Composition at CalArts.